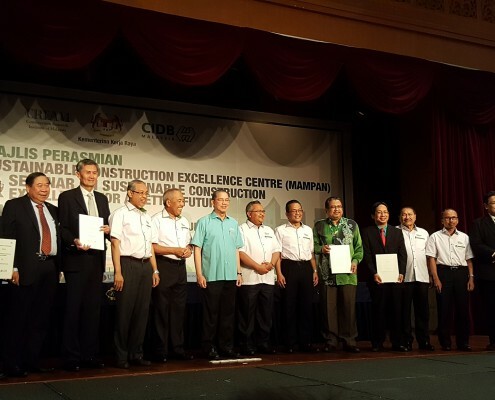 REHDA Institute has signed a Memorandum of Understanding (MoU) with CIDB’s Sustainable Construction Excellence Centre (MAMPAN). 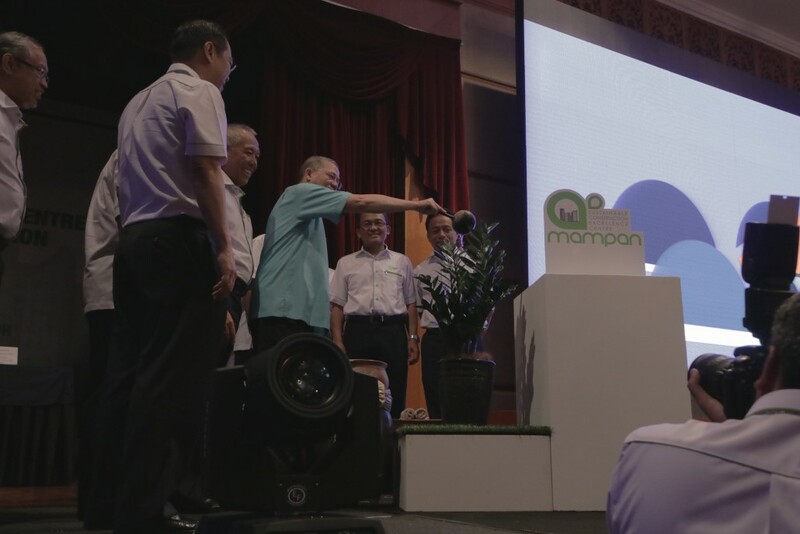 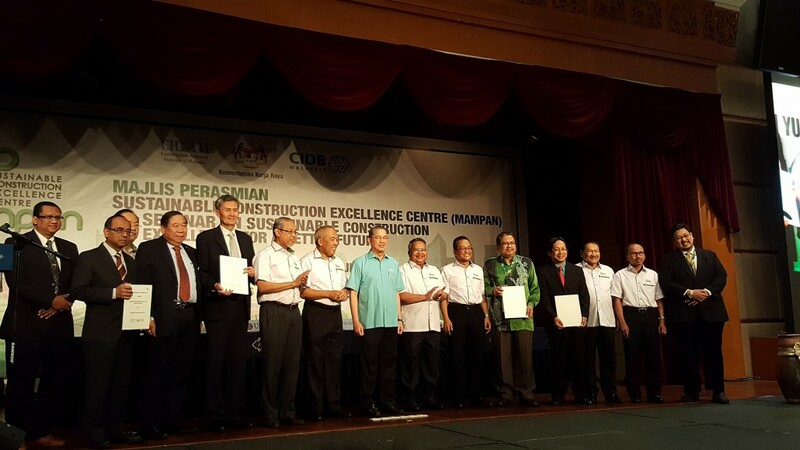 MAMPAN is headed by the Construction Research Institute of Malaysia (Cream), a subsidiary of the Government’s Construction Industry Development Board (CIDB). 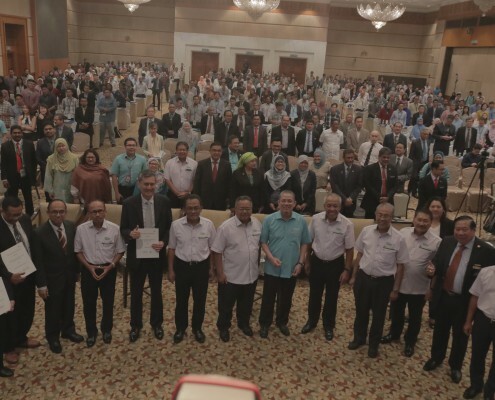 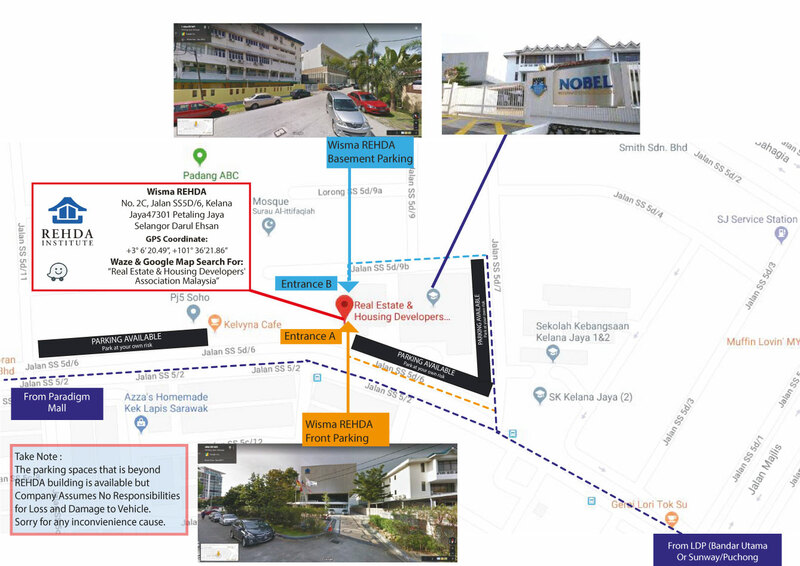 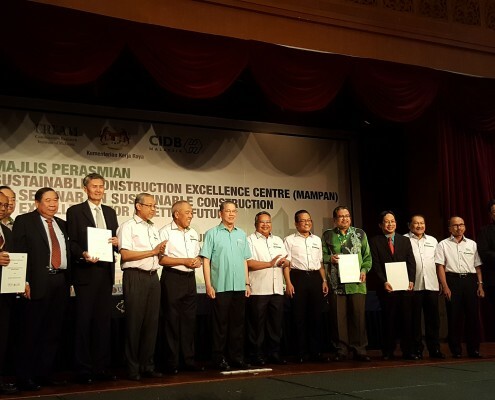 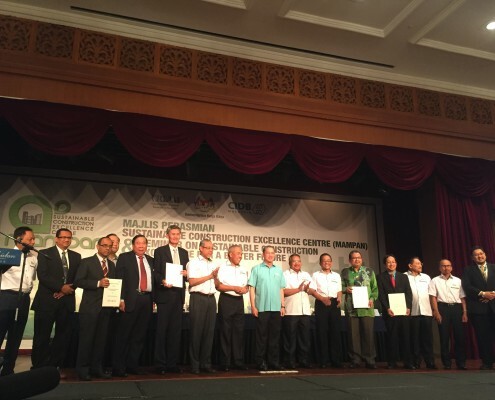 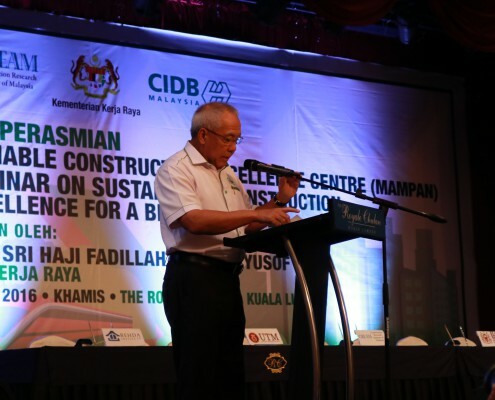 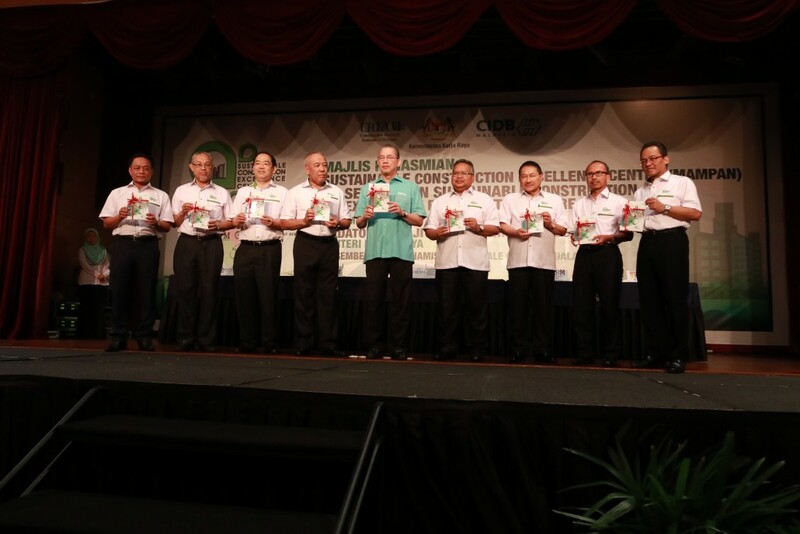 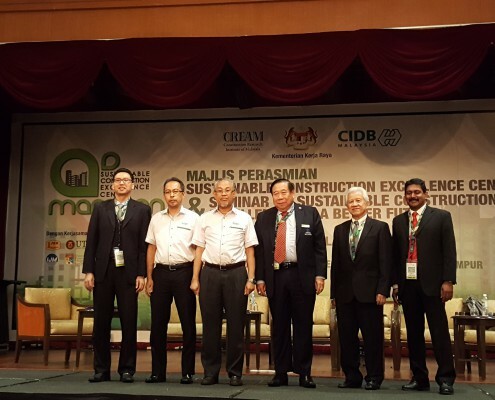 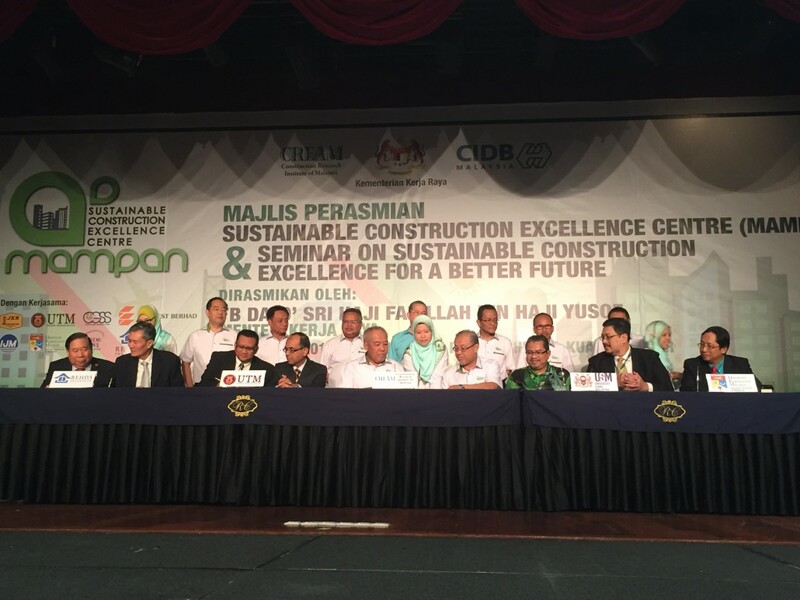 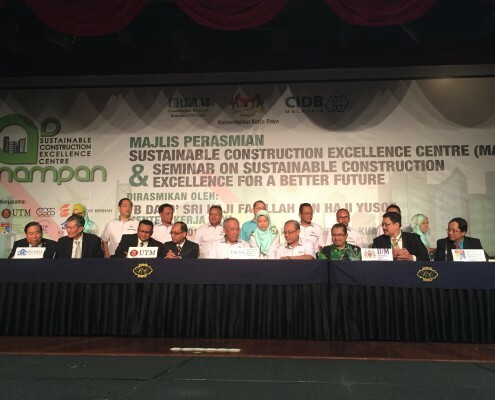 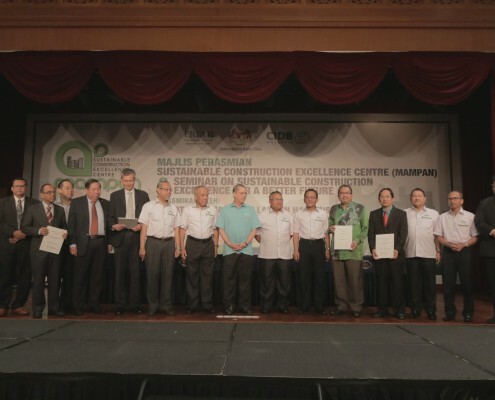 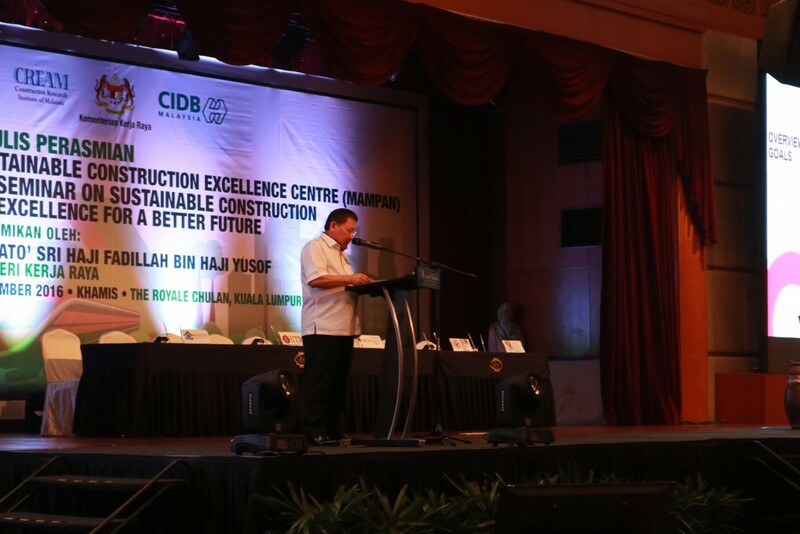 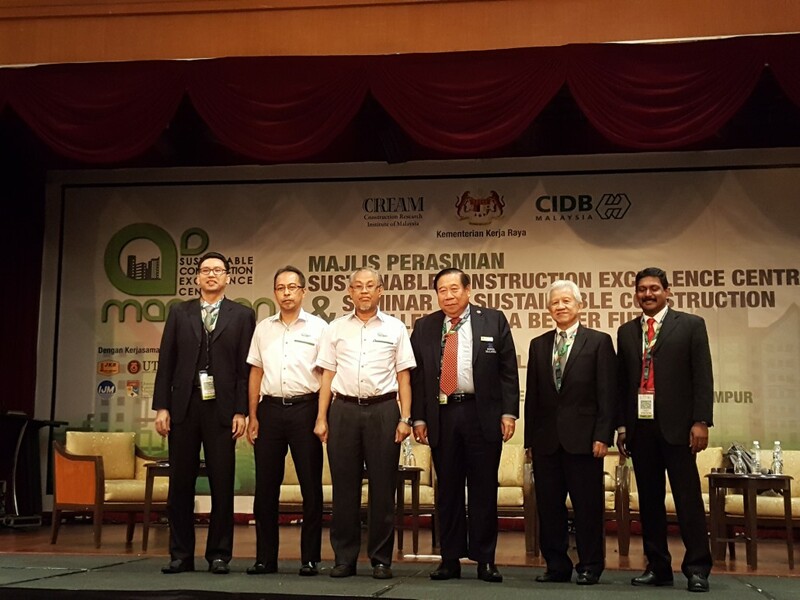 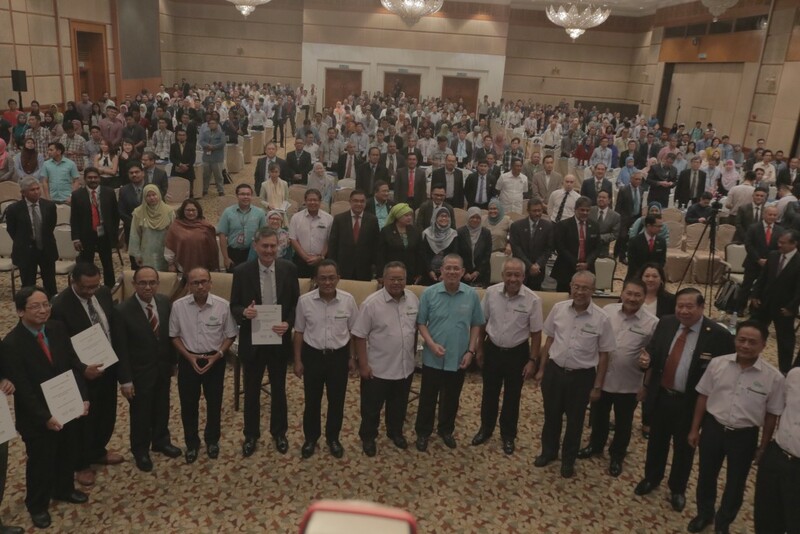 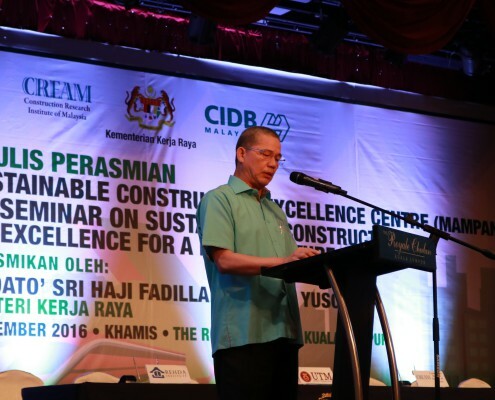 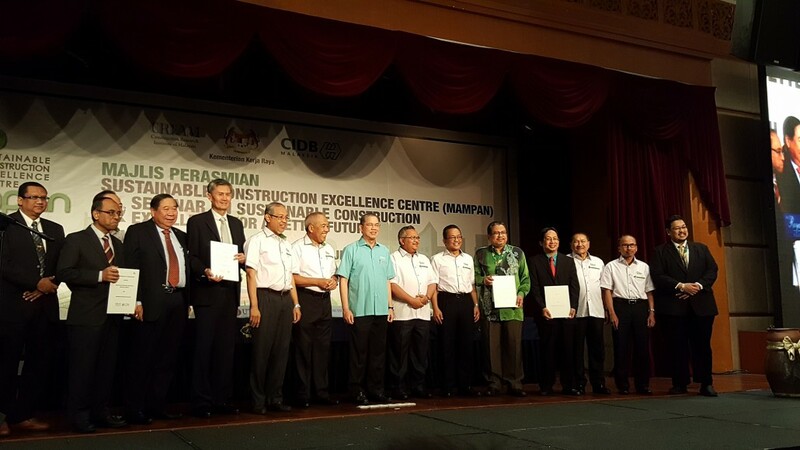 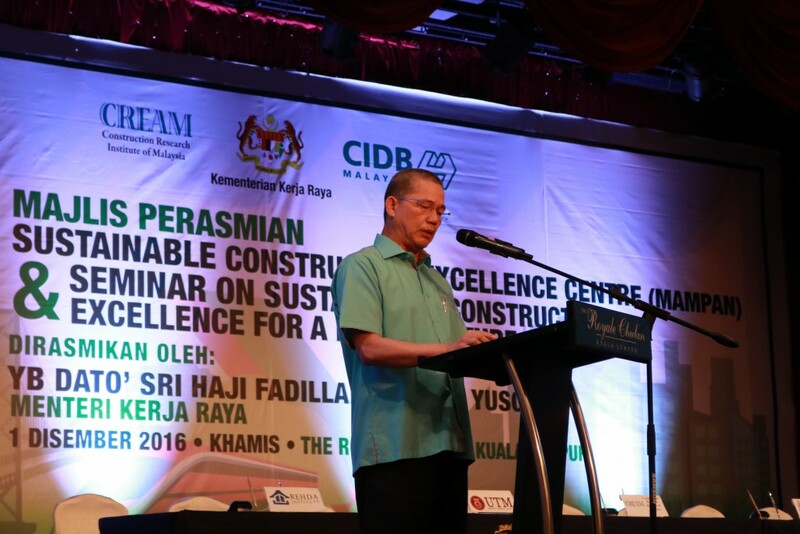 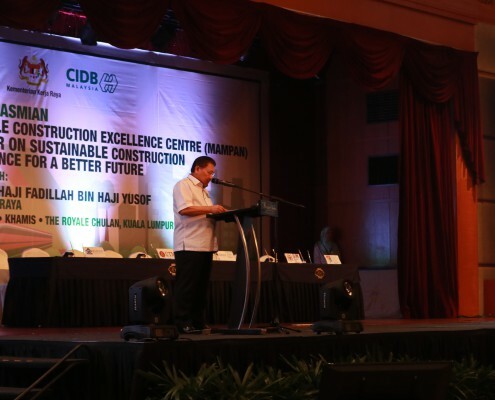 CIDB Malaysia established a Sustainable Construction Excellence Centre (MAMPAN) that acts as a driver to convey sustainability construction in Malaysia through development, promotion and implementation of “innovative” initiatives and functions. 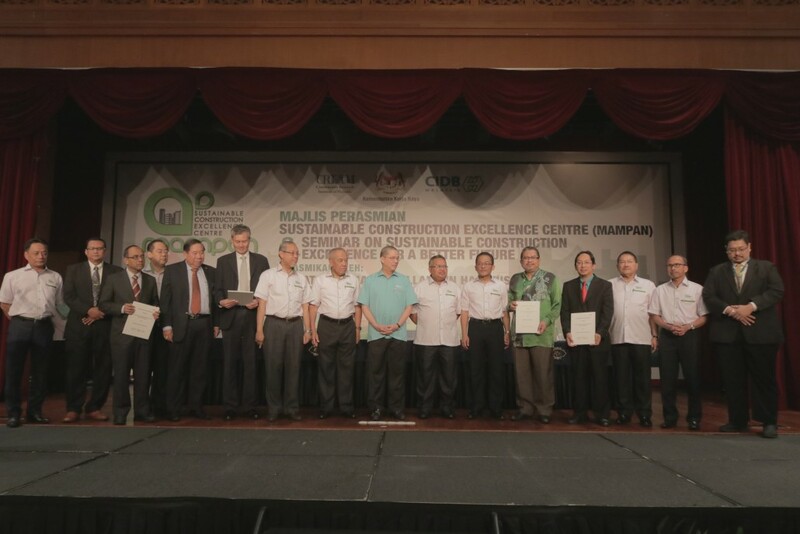 Currently the Centre has initiated a close collaboration with a number of global and local partners in order to address a number of goals that are associated with the CITP’s environmental sustainability thrust. 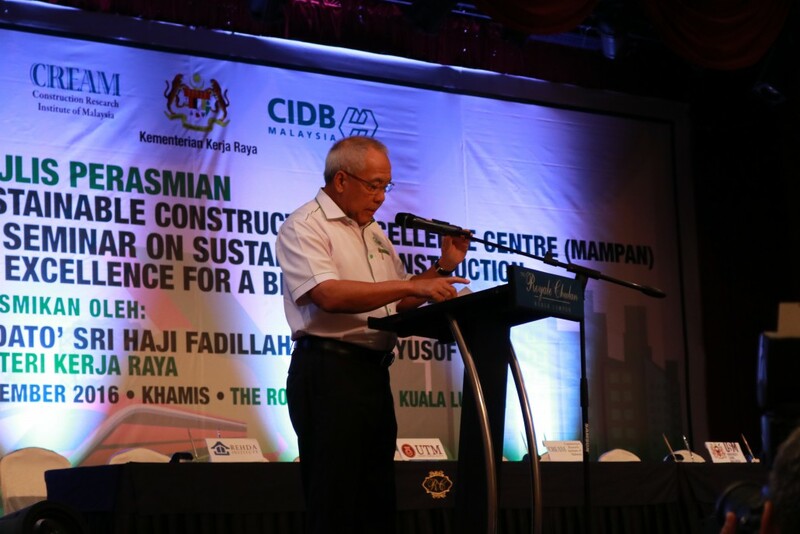 An Memorandum of Understanding (MoU) signing ceremony between Construction Industry Development Board (CIDB) and REHDA Institute and academics from the four universities (UTM CS, LESTARI UKM & CGSS USM) and was held on 1st December 2016 at Royal Chulan, Kuala Lumpur to promote sustainability and best practices in the construction industry through the enhancement of awareness and perception as well as developing executive leadership programmes, to train the next generation of leaders and professionals on topics of sustainability by offering Malaysia-based training and education courses on sustainability at an affordable rate.